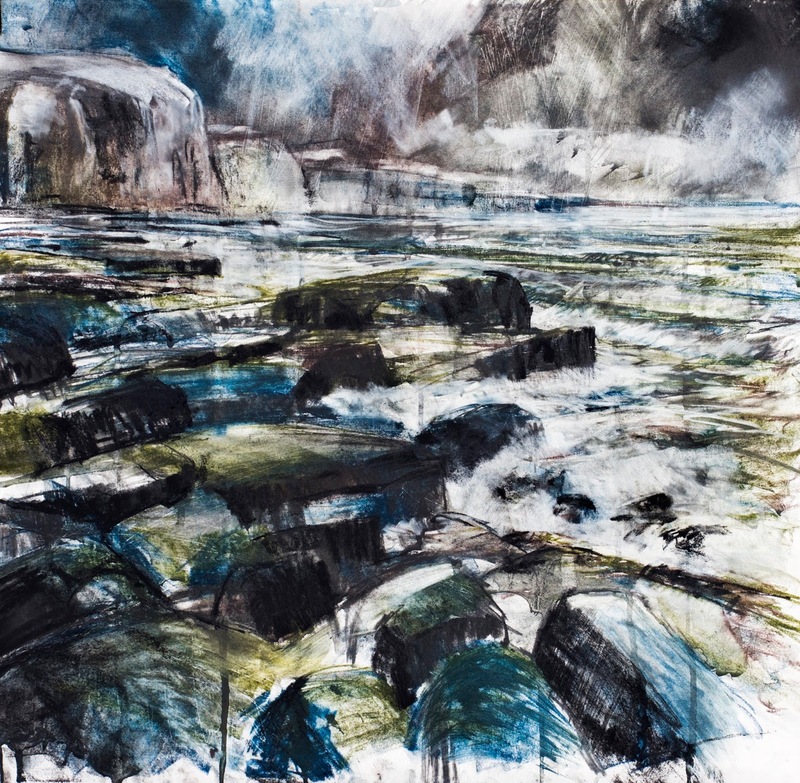 Expressive seascape painting/drawing using XL Graphite and Charcoal Blocks filmed and featured on Derwent's website in their Derwent Academy. They are an absolute joy to use - wet and dry! An exciting opportunity to work with 'Derwent' art materials happened recently - I got the chance to use their wonderful XL Graphite and Charcoal Blocks and be filmed during the process helping to show just how darn good they are! The final dvd (filmed by very gifted and independent award winning film maker John Hamlett from 'Lunar') will be featured, pride of place on the ever popular Derwent website in their Derwent Art Academy very soon. Moorland 'advance techniques' painting using Derwent XL Charcoal Blocks. Anything is possible with these amazing painting tools and this painting may take any number of directions yet still! 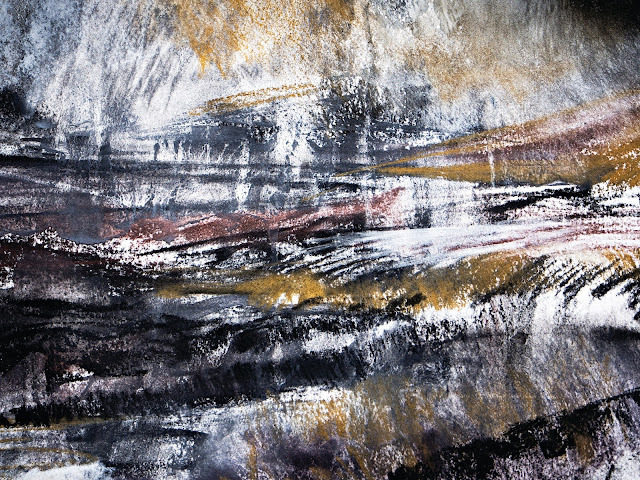 Close up of the moorland painting created using Derwent XL Charcoal. 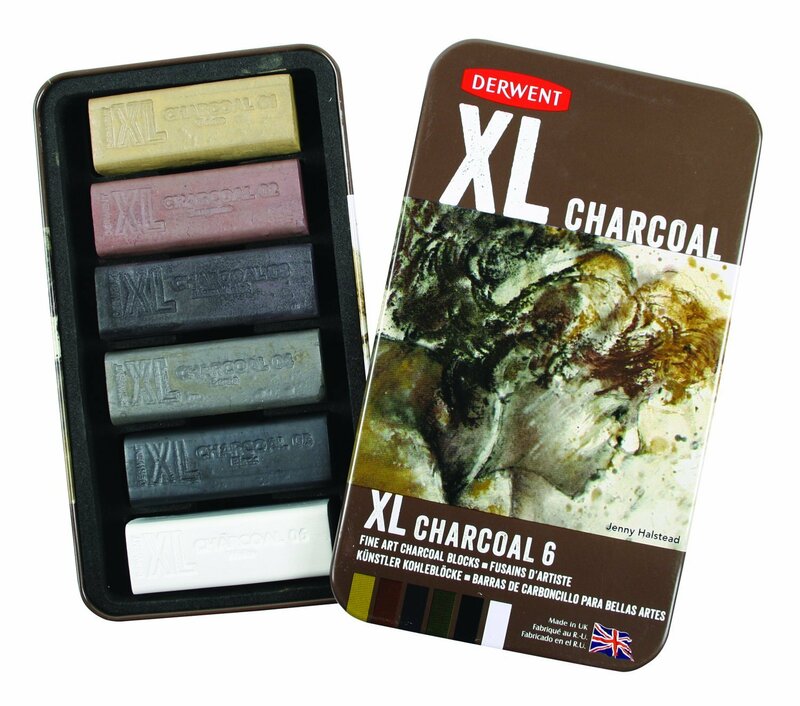 A beautiful, quick and responsive medium that works brilliantly when dry or wet for expressive drawing and painting techniques. The Derwent Academy shows many different artists demonstrating different techniques so well worth exploring. All featured artists using Derwent's high quality art products are at the top of their game so it was a real honour to be filmed showing my techniques to inspire you all. 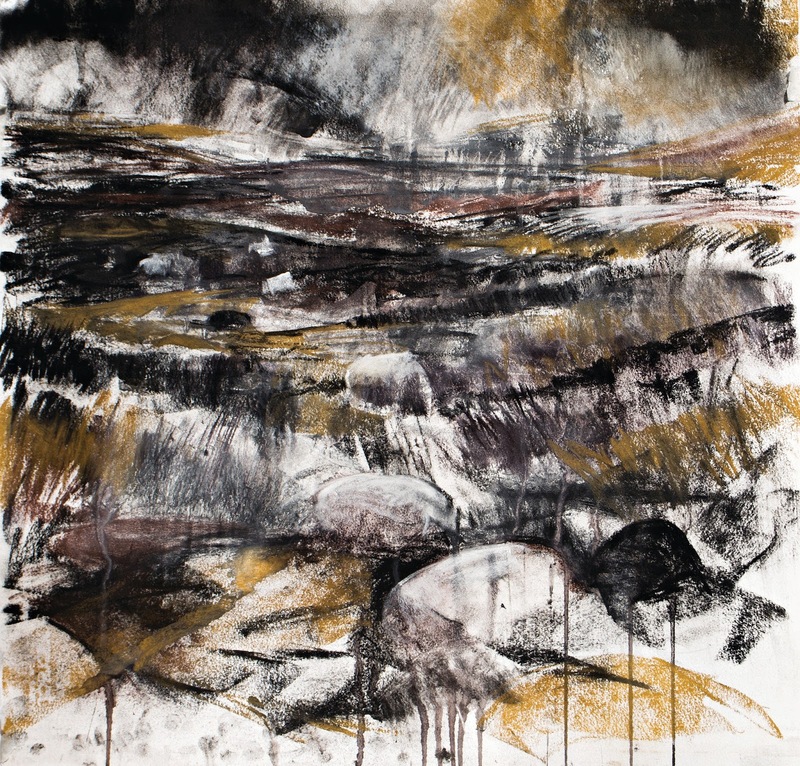 During the full days filming shoot at Derwent's studio close to Keswick (the lovely and historic Lakeland market town in the Western Fells), we covered lots of interesting techniques featuring exciting and expressive drawing subjects covering landscape and seascape compositions. Two of the films help beginners understand the fundamental creative techniques possible using the unique Derwent XL Blocks (Graphite and Charcoal XL Blocks) whilst the other two short dvd's cover more advanced techniques (again with Graphite and Charcoal XL Blocks) showing the full versatility of these exciting, art products. To discover just how easy and exciting these amazing art products are to use (especially for expressive drawing and painting) you just have to try them for yourselves! 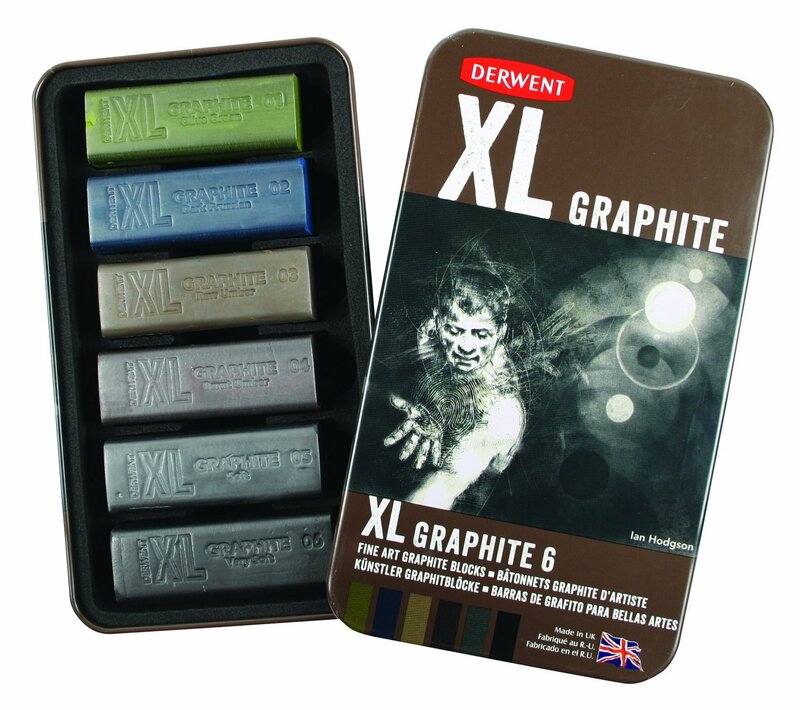 The XL Charcoal and XL Graphite Block inspirational dvd's will be released soon on Derwent's website. Keep you posted! XL Charcoal and XL Graphite Blocks available form leading art supplies.